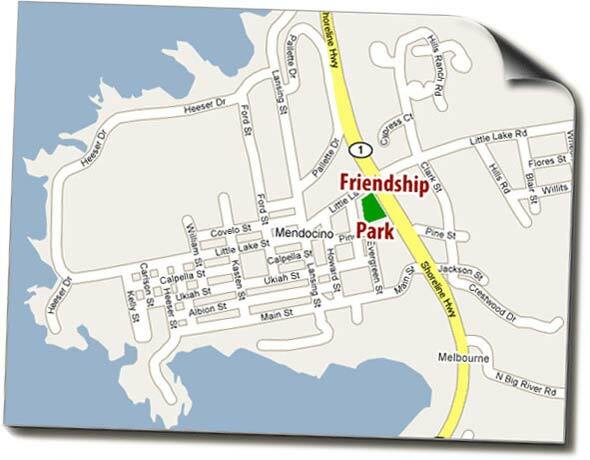 Friendship Park is located in Mendocino at the Mendocino Community Center. This beautiful property in the heart of Mendocino Village, hosts the Friendship Park on Baseball Field, and the original schoolhouse from the 1800's that has been re-purposed into the Mendocino Community Center. The Community Center is located on School Street, cross street is Pine Street. Friendship Park's cross street is Little Lake Road.